Drew a illustration for the Japanese New Year greeting card in 2015. 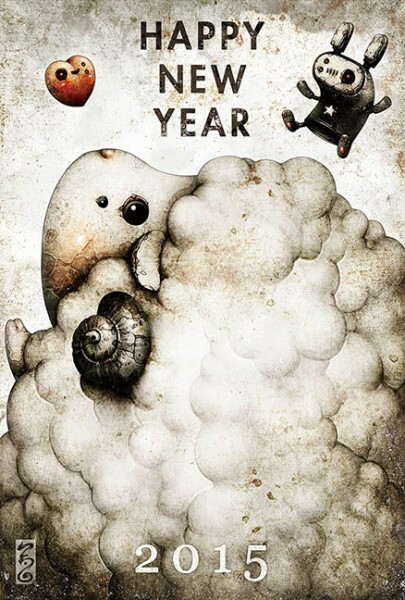 New Year is the year of the Sheep in Japan (Chinese astrology), so it’s the mocomoco (fleecy) sheep. This file is free for personal use only.